. يقدم BIG4 Iluka on Freycinet خدمات لا غبار عليها وكل أشكال اللياقة وحسن الضيافة اللازمة لإسعاد ضيوفه. يقدم الفندق واي فاي مجاني في جميع الغرف, محطة شحن السيارات الكهربائية, تخزين الأمتعة, واي فاي في المناطق العامة, صف السيارات لضمان الراحة القصوى لضيوفه. في الفندق غرف نوم يتجاوز عددها 3، كلها مجهزة بعناية وجمال وبعضها مزود بـ إغلاق, مواد تنظيف, شاي مجاني, مناشف, قهوة فورية مجانية. سواء كنت من محبي الرياضة أو كنت تتطلع لتفريغ عناء نهار صعب، ستجد خدمات ذات مستوى عالي بانتظارك كمثل ملعب للأطفال, حديقة. يشكل BIG4 Iluka on Freycinet بخدماته الراقية وموقعه الممتاز، قاعدة مثالية للاستمتاع بإقامتك في كولز باي - فرايسينيت. The cabin was nice. One of the nights in December was very cold and the doona provided was not warm enough. Also there was only one pillow per person. Otherwise quite adequate and close to shops, hotel, bakery etc. 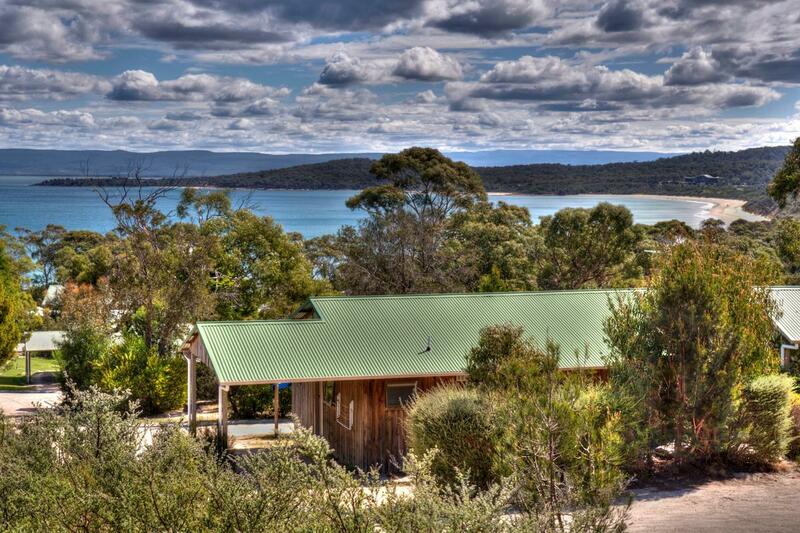 Great affordable place to stay at for a couple nights in Freycinet. Clean cabins with facilities to use at ease. Great little cafe for easy meals and playground for little ones. Room was very small with dated furnishings, similar to what you'd expect when living in a caravan. A bit of a squeeze walking about with our group of 3 and our luggage. Despite dated, everything in the room worked fine and amenities typical of a motel were available for use. Okay for a night's stopover, but would recommend to look for proper motels/hotels with a more spacious and comfortable room if you're planning for 2 nights in Freycinet. Take note they charged you $25 if you don’t do your dishes. Doesnt sound like a good idea to tax your customers when you are already charging them the accommodation fees. There may be laundry facilities in the park but doesnt seem accessible from the house so ended up we did minimal laundry and dry them in the toilet via the heater. It works though. A BIG PLUS would be the quietness and the well equipped kitchen. Location is great, minutes away from the national park. An excellent and well run holiday park. Right next to a petrol station and convenience store as well as takeaway food outlet and tavern. Buy petrol before getting to Freycinet or pay 20c per litre more than you would at Bicheno or other townships. Buy groceries at the bigger towns or you'll pay the high convenience store prices. We stayed in 2 bedroom cabin. Very spacious for two ppl, could sleep up to 6 ppl. kitchenette all included won't need to bring any for families who'd like to cook. stove bit strange thou, too high to reach. Staff quite friendly. Location is good, easy to drive to the national park. Wineglass lookout drive only 10 mins away. if going to lighthouse, about 20-30 mins drive, avoid night time. Overall pretty good choice inside F national park. A big thank you to Big 4 Iluka management for this wonderful holiday experience at Coles Bay. We stayed at the new superior 2 bedroom cabin. Everything was excellent. 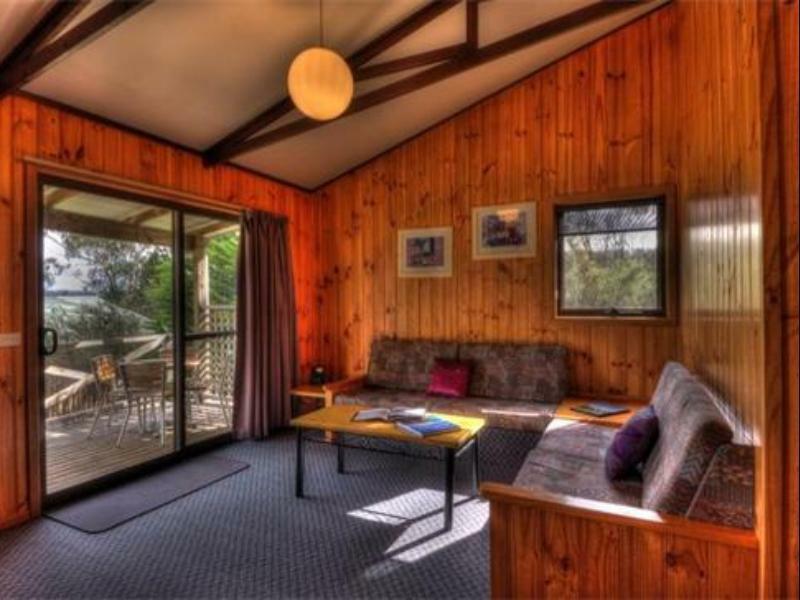 It was our best accommodation and holiday experience in Tasmania. We love the amazing rock pool and beach location. We saw the loveliest sunset ever. My kids were hooked to catching crabs and collecting shells. The cabin is very new, very clean & neat. It also has a fully equipped kitchen with all types of big and small pots & pans and microwave. Its the best kitchen facility we have seen so far. We will definitely be back. It has been our most memorable Tassie holiday location. Just one point for management's consideration - the bunk beds, do be careful; my young sons and mom had knocked their heads as they wake up. The upper deck has very wide piece of wood jutting too low down. Apart from this, everything was superb and a big plus for wifi at the office area. We were so deprived of internet connection at other hotel/accommodation for almost a week until we arrived at Iluka - was the 'saviour' to reconnect us. The cabin we stay on the property is No.5, Lobster Lane. It's a cabin that can accommodate 6 persons. We find this a great place because it is clean and comfortable. Facilities are rather new and complete, beds are made well and the staff is friendly and welcoming. The cabin also faces the sea view and you can watch sunset from your kitchen. Good place for a larger group. We would recommend this for those who want to visit the Wineglass bay and Lighthouse as it is just 10-20 mins drive. As for the restaurants behind the cabin, we do not find it great but it's okay if you want to eat out. Just go for the seafood. Best location in Coles Bay. Very near the national park. Lovely cabins , well equipped and clean. Grocery store and petrol station nearby. We had a great stay, will definitely recommend to anyone travelling to Coles Bay. Great location with parking right outside the unit. Comfortable bed, good sized lounge area altho the table legs kept getting in the way. Good shower. Toilet was in a narrow part of the bathroom. Air-conditioning worked well for heating. There is nothing much to shout about, in fact I have forgotten any good or bad memories during the stay here. Oh one thing to remember! The room is v cold during winter as the heater is only in the dining room but none in any of the room or toilet! Not being campers, we reserved a cabin. It was well kept and had everything needed to setup housekeeping. Wifi was weak. Only one kilometer to the national park. A very remote, but stunningly beautiful park. We arrive very late at night, staff is very kind to put envelope of keys outside with guided map. Will be better if shd could include wifi pwd together also. Hot water run out after 3 people take shower. My friend has a 'weird' encounter here, but we all think he is being too sensitive. Overall is a lovely cottage. We were there just for one night, We arrived after business hours. But as we called just before the closing to let them know that we won't make it on time for the check-in before they close the office, the staff had all prepared to make our arrival easier by letting the key in an envelop at an easy place to find. The place was nice, a little bit cold but there is a heater so it was perfect. We recommend this place! We were a couple in a 6 berth cabin. For a couple this was perfect and still great value, for 4 people it would have been cosy, for 6 it would have been too tight. 2nd bedroom has 4 bunk beds in a L shape arrangement with remaining floor space only as large as a single bed. Inside table only seats 4, but there is a sofa bed adjacent. Bathroom is tiny. But there is ample storage, a modern and decent sized kitchen and a large covered outdoor area. stay was excellent, clean, comfortable, quiet, good food nearby. only hassle was that we booked 2 units with 2 rooms each for 4 people (2 people in each unit) but the booking system translated that to the hotel as 1 unit with 4 people. however, they gave us 2 separate units as requested so it was all OK in the end. Rooms in cabin are clean Relatively close to Freycinet National Park. Close to tavern, general store, bakery, fish & chips shop. Family oriented ground, sharing outdoor facilities with campervans and tents. Free Wi-Fi near Reception only. Otherwise pay access in cabin.